Image Credit: soot+chalk / Flickr. This image has been modified. Twenty years ago I changed my diet. It was the year Dr. Dean Ornish published his landmark study showing that our number one killer could be reversed with simple lifestyle changes. Every year since, another 100,000 Americans have dropped dead from heart disease—needlessly. I wanted to help change that. So I went to study at Cornell, home of nutrition pioneer T. Colin Campbell. Then on to study medicine at Tufts, the medical school boasting the most nutrition training in the nation (a measly 22 hours out of hundreds of days of preclinical instruction). Ten years ago, after I completed my postgraduate medical training, I started traveling around the country speaking at community centers, hospitals, and medical schools about the power of healthy eating to prevent, treat, and even cure many of the chronic diseases plaguing the Western world. Five years ago I wrote my first book on nutrition and started a monthly newsletter that morphed into an annual DVD series, in which I review the latest science in the field of nutrition. And now, thanks to the Jesse and Julie Rasch Foundation, I’m able to bring it all online. All the proceeds I have ever received from my books, DVDs, and speaking engagements have always gone to charity and always will. For me, it’s always just been about getting this potentially life-changing, life-saving information into as many people’s hands as possible, and NutritionFacts.org allows me to do that like never before. For years now, I’ve scanned through practically every issue of every (English-language) nutrition journal in the world. More than 5,000 papers are published on human nutrition in the scientific literature every year. Of those, I end up saving, sorting, and scrutinizing at least a thousand of the most groundbreaking, interesting, practical papers and then translate their findings into hundreds of new topical videos every year to document the most recent advances in evidence-based clinical nutrition. Now I do have a day job. My nutrition work is basically just nights and weekends and vacations spent plumbing the depths of the National Library of Medicine. But I am committed to posting a new video every day for at least the first year, and hope to continue to keep up the pace. My goal is to continue to bring to light the latest in cutting edge nutritional science, straight from the scholarly literature, in (hopefully) a fun accessible format, without commercial bias, for free, all year long. What a great new site Dr. Greger! I rarely, if ever, read blogs, but since I am interested in everything you have to say, I must say I enjoyed it and getting to know a little more about you and how your work came about. Thanks for all I have learned from you! I have enjoyed the nutrition DVD’s for a number of years. I have tried to share this with friends. Now I can forward this site to others. We have a health care crisis. It does not matter what system, private or national, if we do not make changes we will be in greater trouble. The Forks over Knives film will help. So will this. It is great to see solutions coming. Thanks for the dedication and commitment to all of us. Now I’ll go eat my broccoli (for Bush). 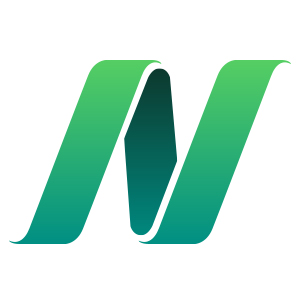 That was definitely a key impetus behind the creation of NutritionFacts.org–to facilitating the sharing of this critical information. It’s not enough to just scour the journals and dig this stuff out. We need to get it out into the world. Aren’t you afraid of the animal (cow, chicken, fish, milk, egg, oils) industry? If people live and eat on your recommedations, they are in jeopardy of losing their shirts and everything else. Ditto for the USA economy. I heard that the health industry is one-sixth of the US economoy. The “Food” industry has to be at least 75% of the economy. Yay! I very much welcome this site as a reliable and readily accessible source of information. Just finished watching this year’s DVD and so appreciate the countless hours you spend sifting through the material I would never begin to fathom! This site will be even more accessible. Thanks to all involved in bringing it to us! Accessibility is certainly another component. Subscriptions to top nutrition journals each cost literally hundreds of dollars a year. And most libraries don’t carry them. Even if the journals were accessible, though, the language they’re written in isn’t. The overuse of technical jargon in scientific journals perpetuates this professional monopoly on information—which may be fine if you’re talking about theoretical physics, but medical information, nutrition information can be life-or-death—it should be available and accessible to everybody. This is a fabulous resource for the public! Thank you so much, Dr. Greger and the Jesse & Julie Rasch Foundation, for making it available, at no cost, in this format. I am a healthcare practitioner and will certainly spread the good news to my patients. This is a wonderful site! Thank you. yes, a BIG thank you for all the work that you put into this. The information that you have provided in your DVDs has been very helpful in the work that I do (invaluable in fact). This site has just taken it a step further! You are absolutely welcome. What kind of work do you do? Michael, my job’s getting easier, thanks to you! Today I received your DVD, Latest in Clinical Nutrition Volume 5, however this resource eclipses the DVD’s by making the information accessible, right in the consultation. My doubting patients have nowhere left to hide! Thanks for your tremendous efforts. I’m so glad you’ve found it useful. Getting all my nutrition work online has long been a dream of mine and I can’t believe it’s finally come true! What a great initiative. You not only give the information, but also the references to back it up. That is what I was looking for, because people in general want to see ‘prove’. Thank you and the Jesse & Julie Rasch Foundation very much for making this possible. The field of nutritional science is not immune to commercial influence and bias, but science is the best tool we have to get to the truth of the matter. Unfortunately due to copyright issues I can’t post the full-text of all the sources, but I’ve got a blog topic queued up as to how to track them down. I’m so glad you appreciate what we’ve done here. 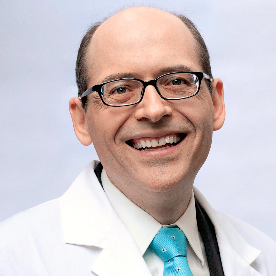 Busy worthwhile goal, Dr. Greger! Ooh, why don’t you post them here so everyone can benefit! 1) drink enough: take half your weight and that’s how many ounces to drink of preferably quality spring water. Spread it throughout your awake hours. 4) exercise: this is time consuming, but feels sooo good! work up to 60 minutes a day of brisk walking, dancing, active yoga, or your choice: as long as it works your heart and lungs and muscles. 6 and the end): sleep: darkness, quiet or white noise, sleep long … whenever we can. You have some lucky patients given this kind of good common-sense guidance! I would certainly reiterate the hour-a-day seven days a week minimum exercise prescription and plant-based diet, though I’d suggest folks drink green (or white) tea instead. Has all the water of water, but is also packed with antioxidant goodies (after all in a sense it’s just dark green vegetables steeped in water! :). Avoiding all added sugars and trans fats is certainly good advice–thanks so much for sharing your tips! Absolutely, Dr. Greger! Best yet, to get all the antioxidants, let’s all steep white or green tea in room temperature spring water! By the way, just made a mushroom, onion, quinoa, walnuts and parsley dish that was easy, quick and delicious! Congratulations, Dr. Greger! I just received the 5 Clinical Nutrition dvds and I’m so happy to have all the knowledgeable information that you provide! I already had volumes 1-4 but gave them to my daughter so she shows them to her friends ;-) I commend you for your fine efforts with the new site to cut through the misinformation put out there by media and industry. I have a veg group with almost 1300 users and they all know about the new site now! Thanks a million! I am thrilled that this site is launched. I also have all your previous DVDs and find the information invaluable. So glad you’re now available everyday, I’ll share the news! Your given me a new perception of food and how to consume safely in the modern world. I’ve now recently change the green tea to having it cold too! If you can post details of your personal regular diet details sometimes would be good to see it. I am thrilled to have a science-based site to refer my clients to. Thank you so much for all the great info you have to offer. As a Nutritional Health Coach, I strongly advocate food as a source of healing and strength! Isn’t it amazing how much garbage there is out there on nutrition? I’m so glad you appreciate a little scholarship. Keep it up coach! Michael…I am very excited to find your work online. I am working my way through the very entertaining and accessible videos! I have been full-on vegan for over 2 years now and have never felt better in my 62 years!Frankly, I didn’t know just how poorly I felt until all the good effects of the lifestyle change kicked in. I look forward to your postings. Thank you so much for your hard work and energy devoted to this topic! Isn’t that amazing? On their first visit to me most patients have described themselves as feeling “fine,” or “OK,” but they have no idea what’s in store if they put their minds (and bodies!) to it. It’s never too late to start eating healthier, stop smoking, and start taking better care of ourselves. At 62 you SHOULD be feeling vital and alive and energetic. I am so glad you got a taste of what it’s like. And in my experience that’s all it takes. As Dr. John McDougall likes to say, nothing tastes as good as healthy feels. Dr. Greger, I’m surprised to see no or very limited mention of actual foods in your nutrition recommendations (linked above in your post). What’s the deal? Love Dr Gregor and nutritionfacts.org…I hope he lives forever and can “keep up the pace”! Thanks to him I took Vit D in the winter, take B12 weekly, add amla to my green smoothies, drink white or green tea, …. I quote him often and recommend his site to everyone. Great site! How about the fat of palm oil (rain forest proof). Good or bad? It appears in so many supposively “healthy” products. Looking at the nutrition facts of palm kernel oil, despite any supposed benefits, this food is complete junk food. It is 100% fat lacking any minerals and contains a scant amount of vitamins. 1 tbsp has 11 grams of saturated fat, this is very unhealthy.